A traditional style, five-light chandelier that has been made to look as though it has been crafted from real antlers in a natural warm finish. 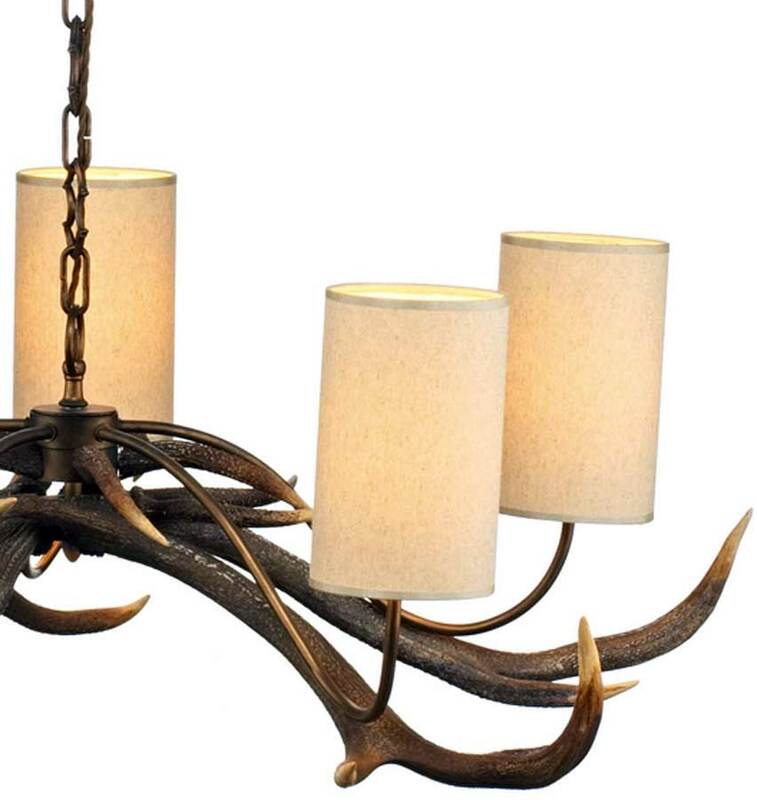 All of the Antler lighting range is handmade in Britain and create a true rustic look. Each piece is made by craftsmen using a resin mould, then air brushed and sealed by hand to give the desired look. Supplied with cream drum lampshades this chandelier will look charming in many rooms even a large bedroom would benefit the grace and haunting design of this spectacular ceiling light. This large feature ceiling chandelier has a large diameter of 100cm and requires 5 x 60 watt candle lamps. Height adjustable at the time of installation by simply removing one or more of the bronze chain suspension links. Minimum height 74cm, maximum drop 104cm. Additional chain length can be purchased separately, please feel free to contact us to discuss your requirements. 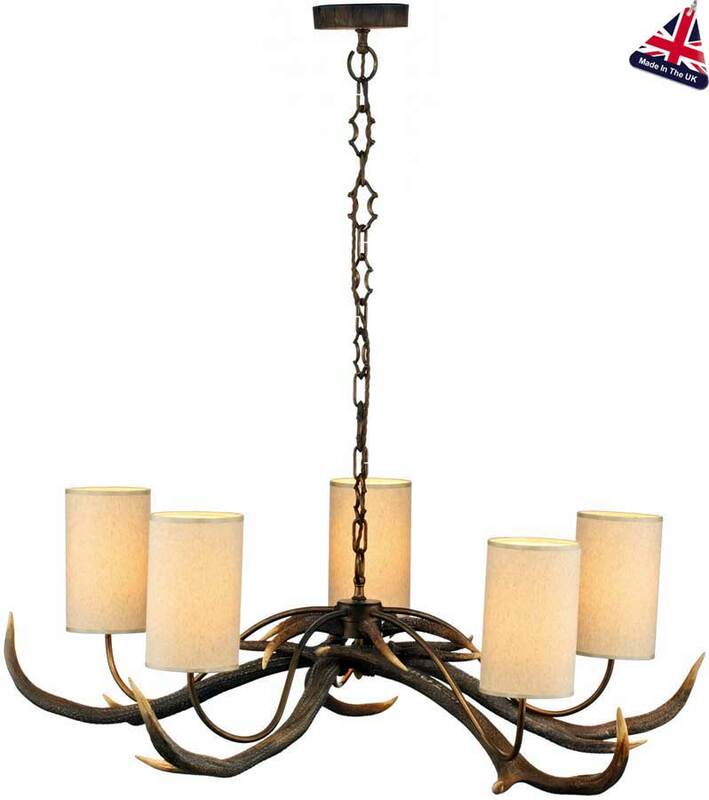 A large range of highland stag rustic light fittings are available to complement this magnificent chandelier, please see below for more details.